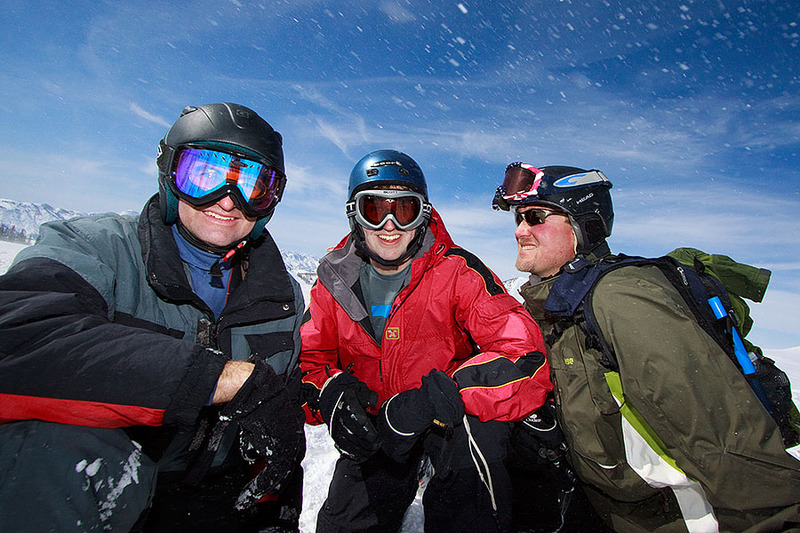 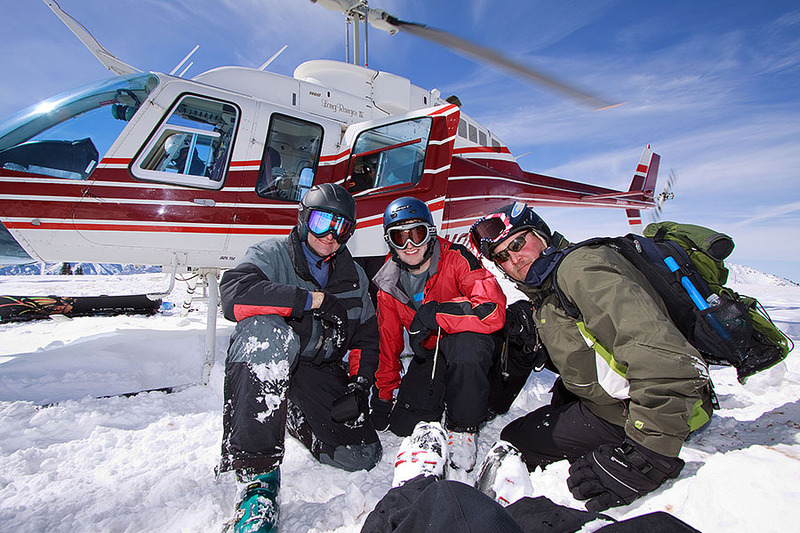 Diamond Peaks Heli Ski - WOW!!! 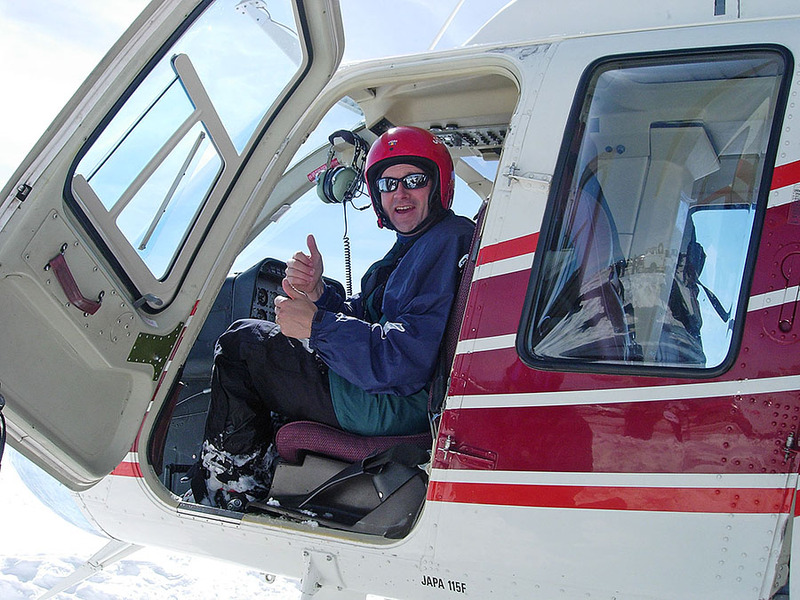 Diamond Peaks Heli Ski operates out of the top (yes, the top!) 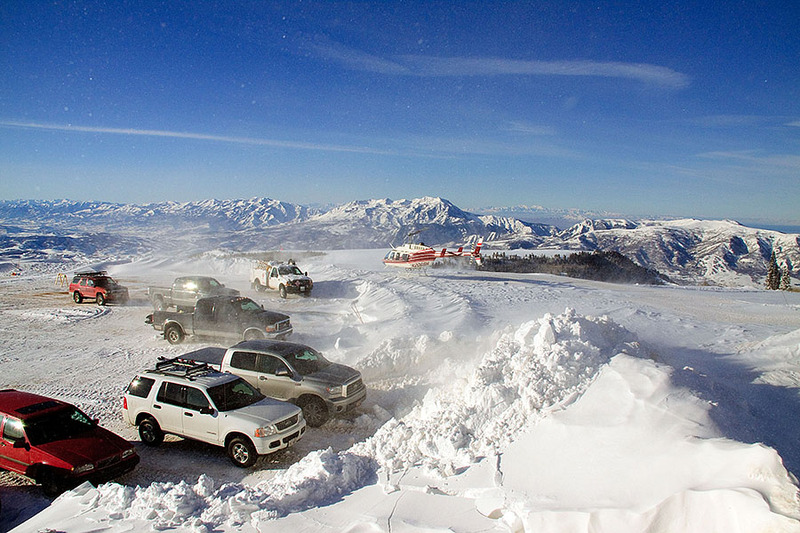 parking lot at Powder Mountain Ski Resort which is East of Ogden, Utah - less than 2 hours drive from SLC. 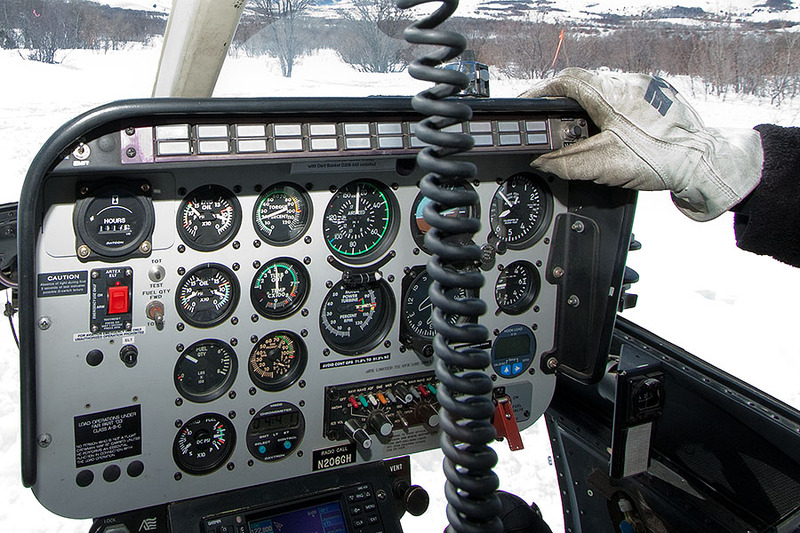 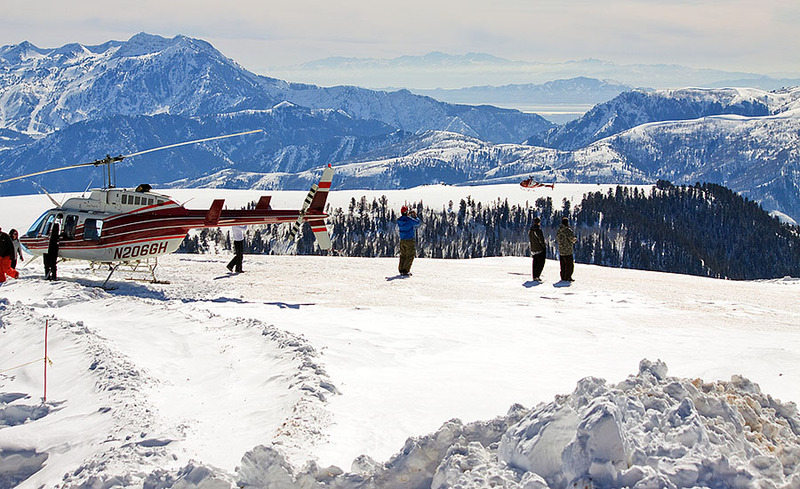 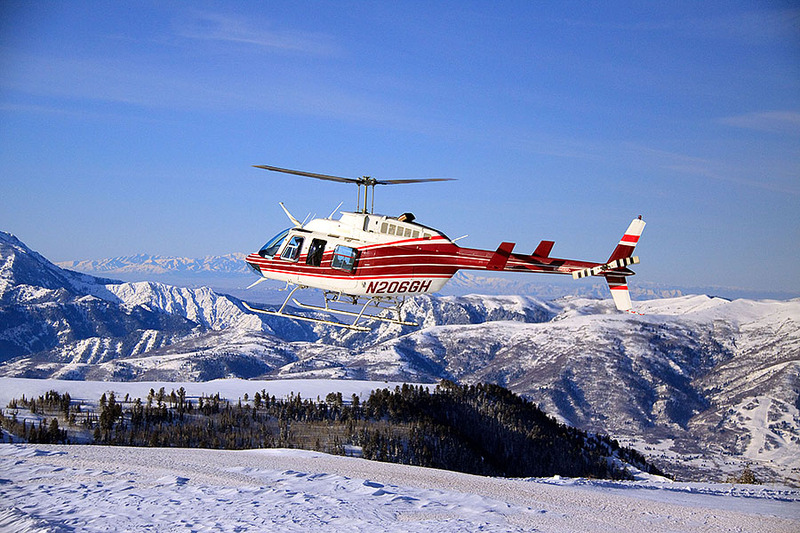 From there, you fly over the ridge North of the ski area to some Private Land they have exclusive access to. 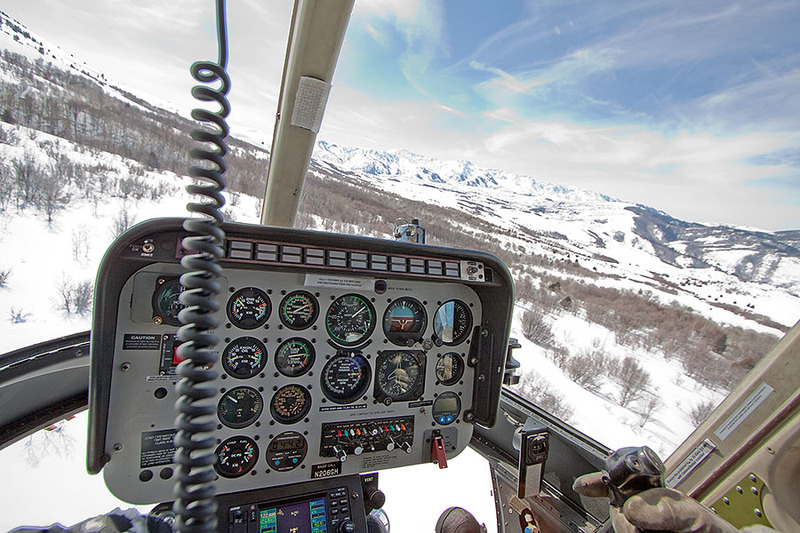 They drop you off on top of the ridge, you ski down to the lower Landing Zone (LZ), and then the chopper takes you back up. 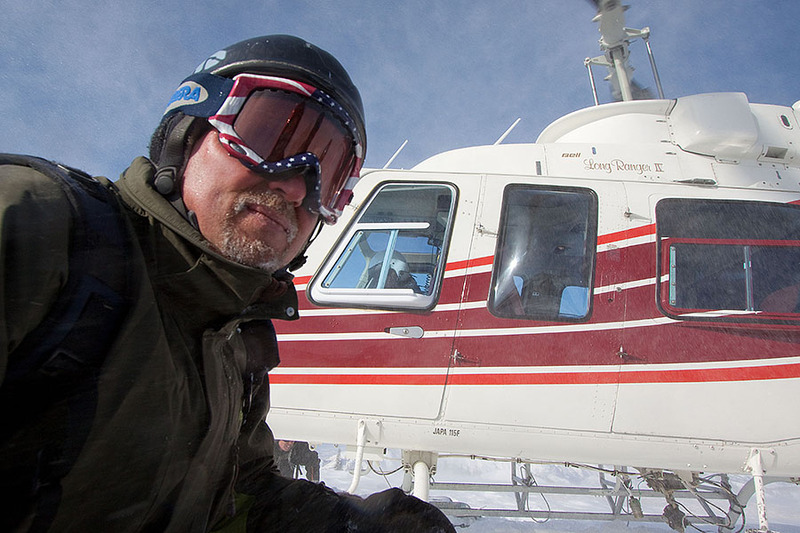 The pilot Mario Nichols, introduced himself as "I'll be your lift operator today", shuttles between multiple groups with the wait at the bottom usually just a few minutes. 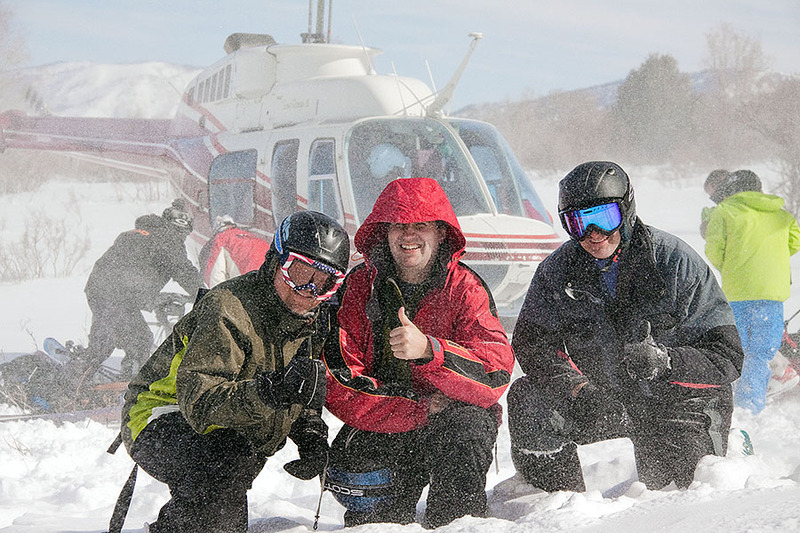 A special thanks to Craig (who runs Diamond Peaks) and his son Casey who was our guide for a great day of skiing two feet of fresh powder under sunny skies with no wind! 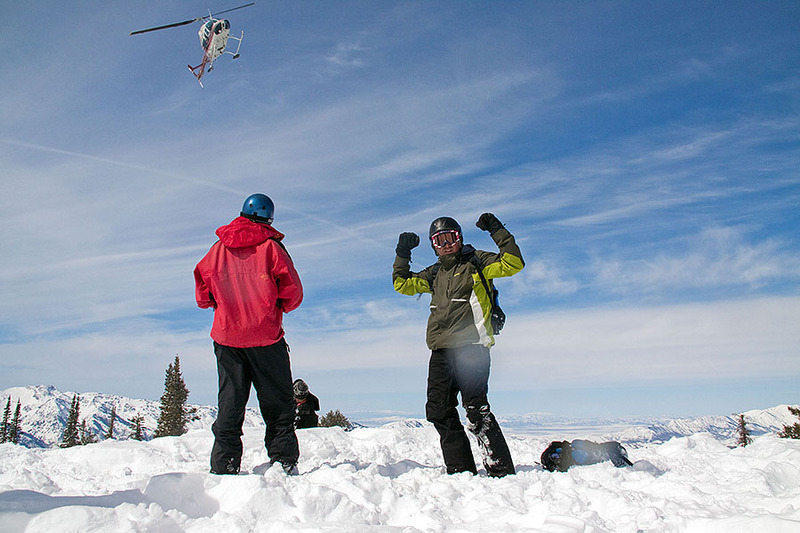 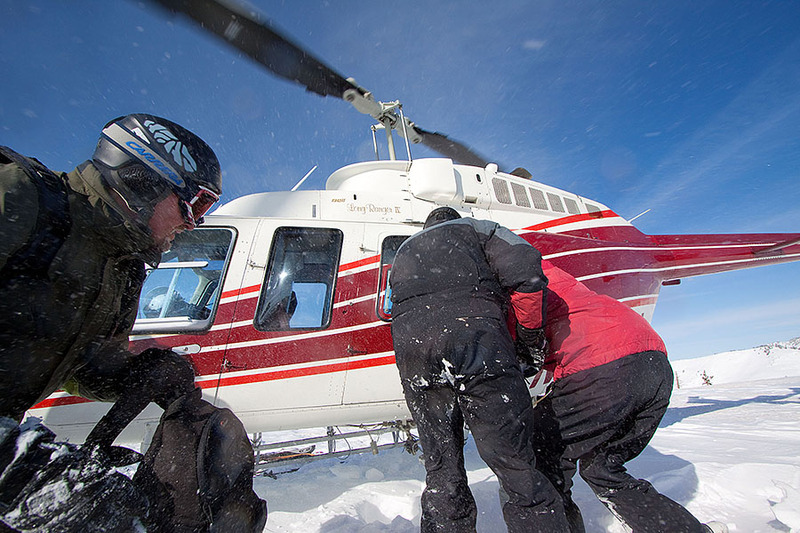 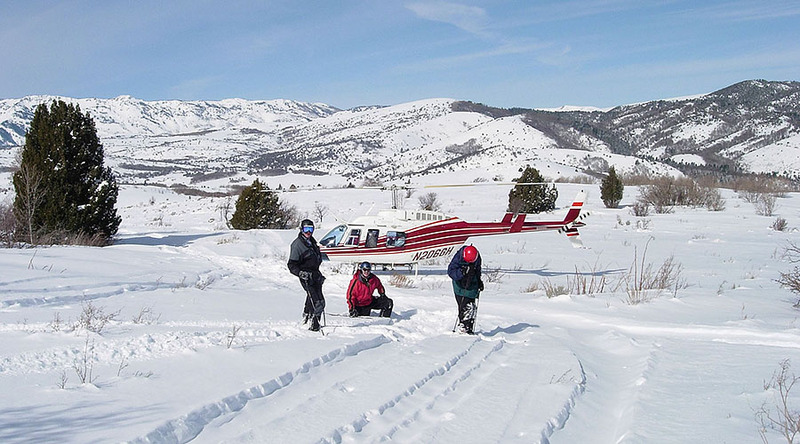 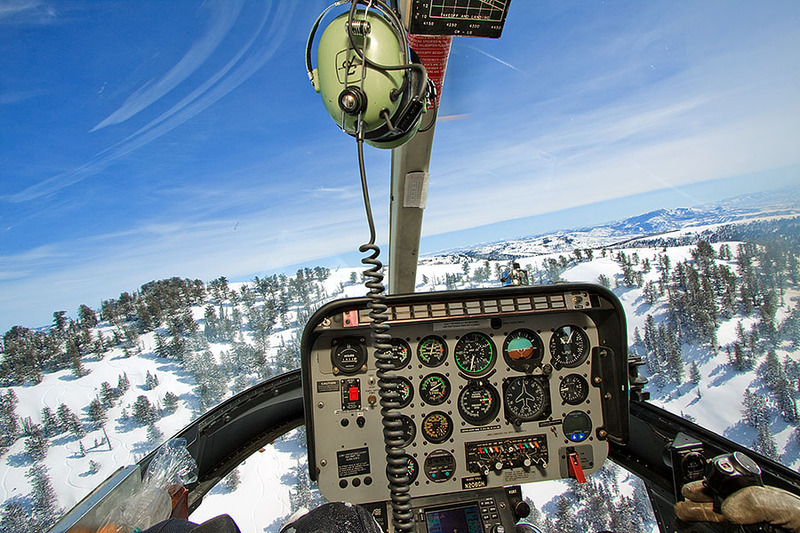 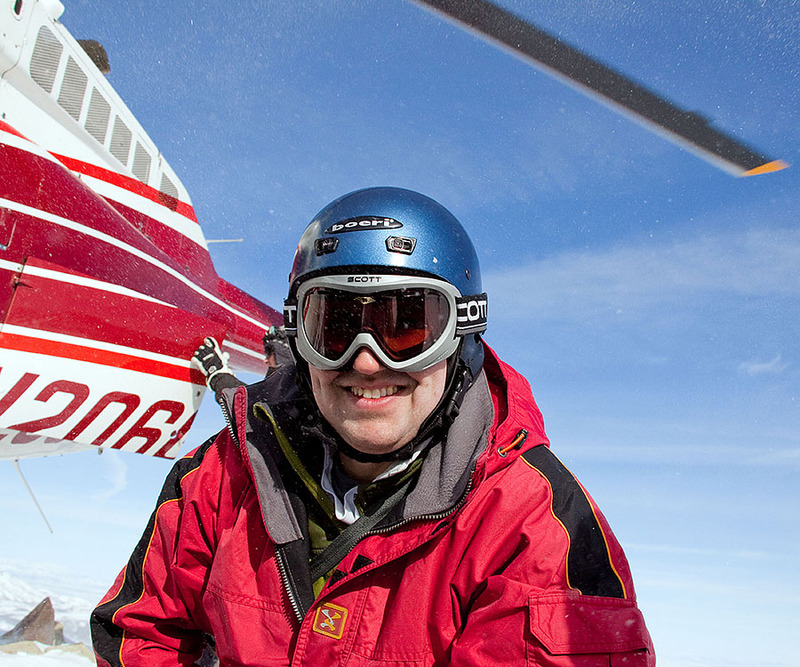 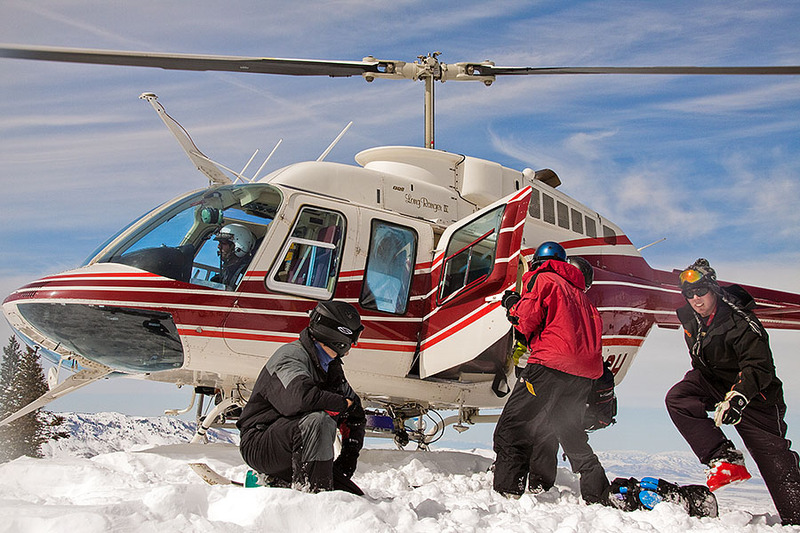 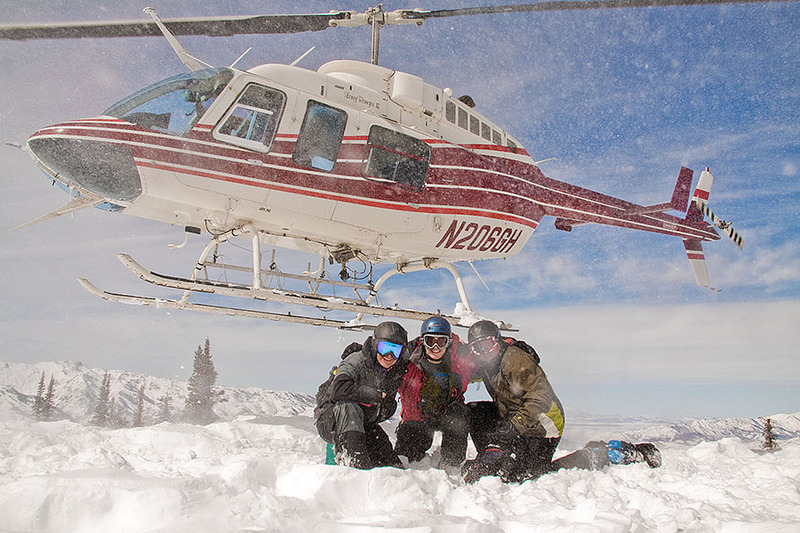 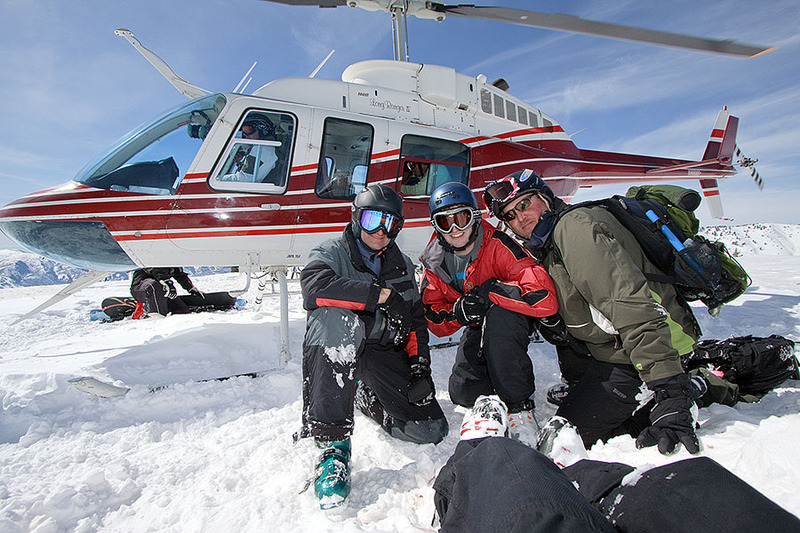 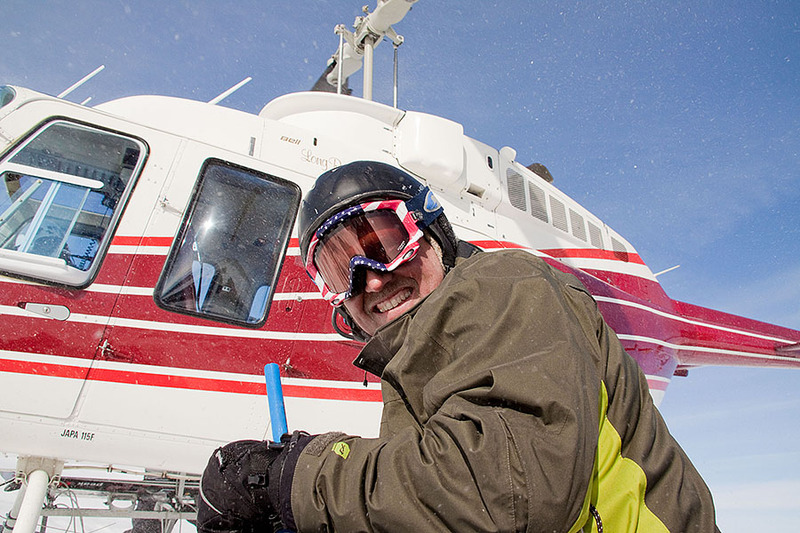 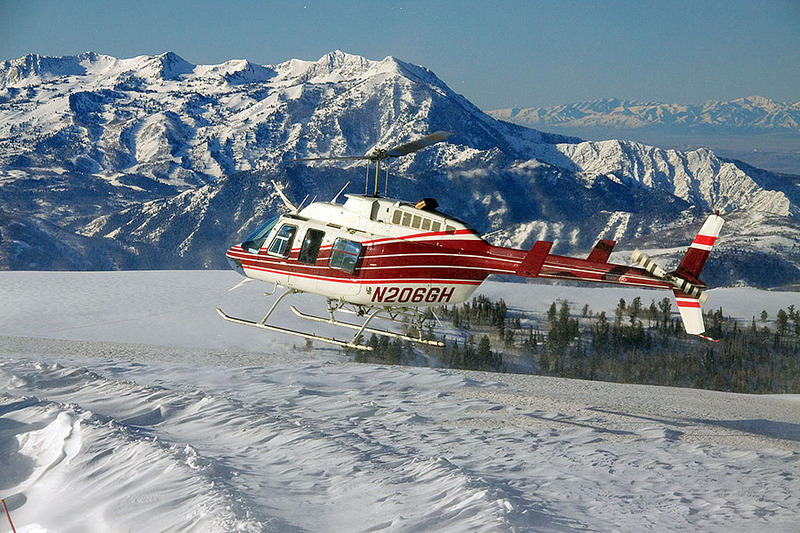 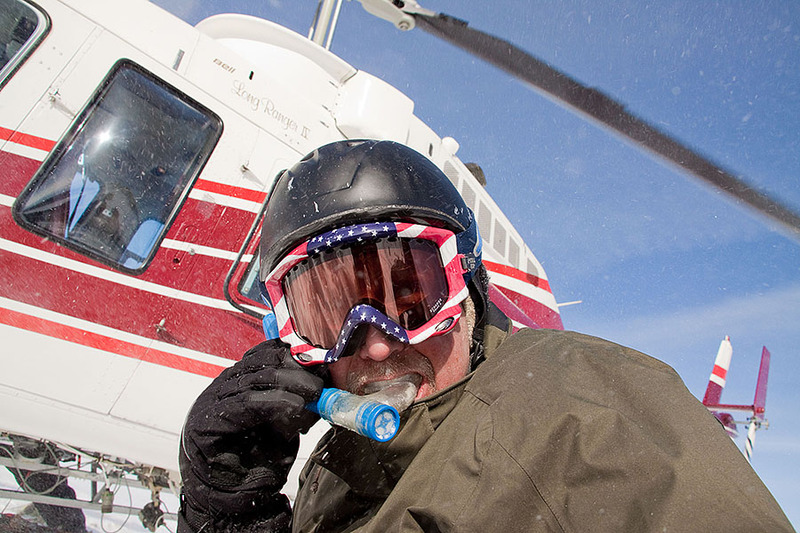 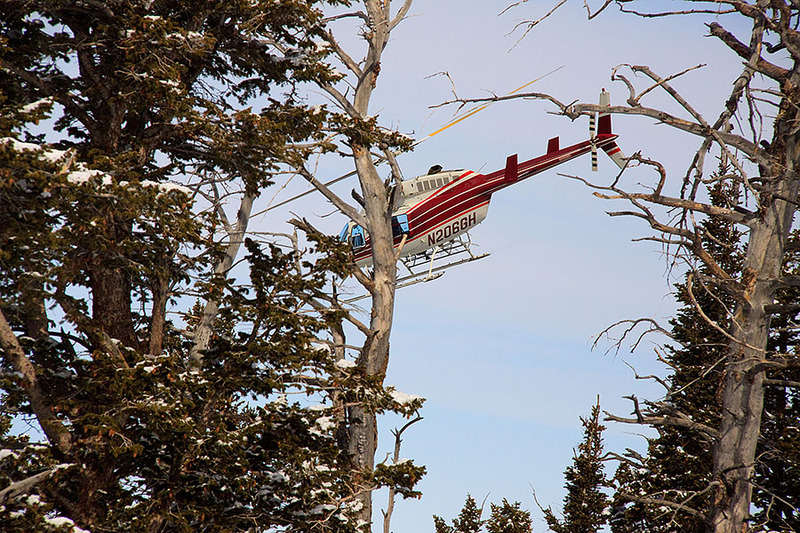 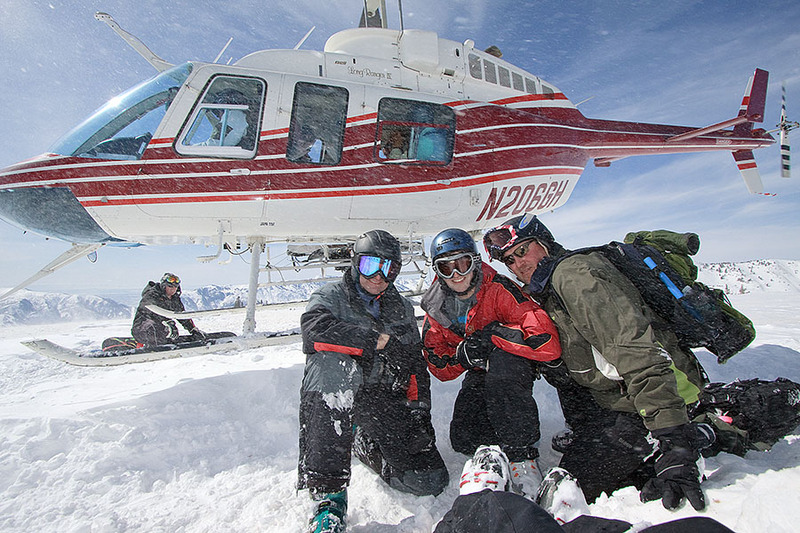 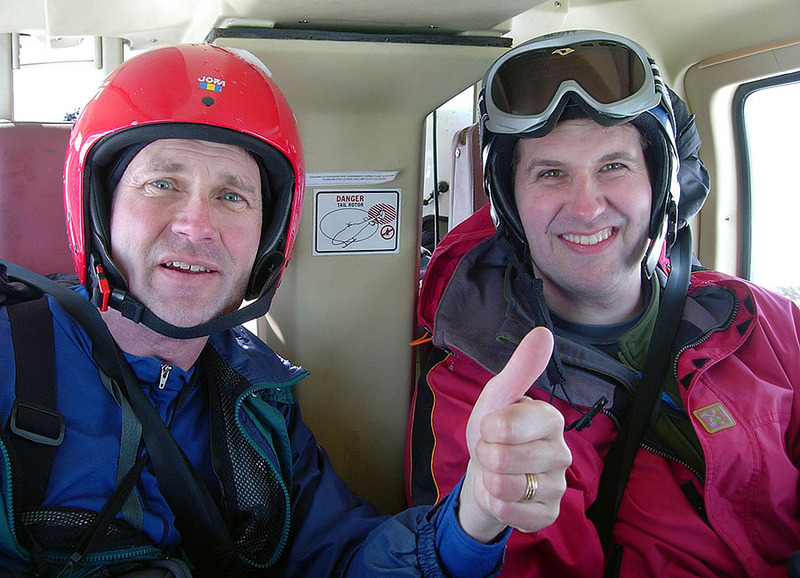 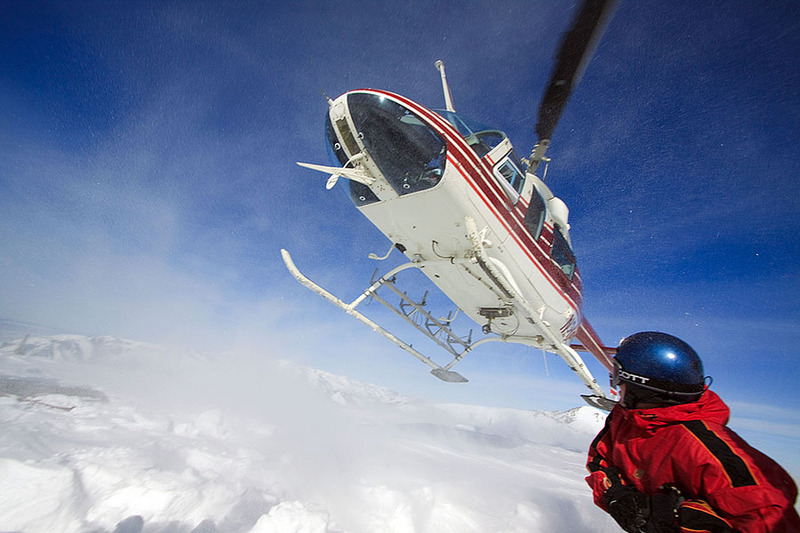 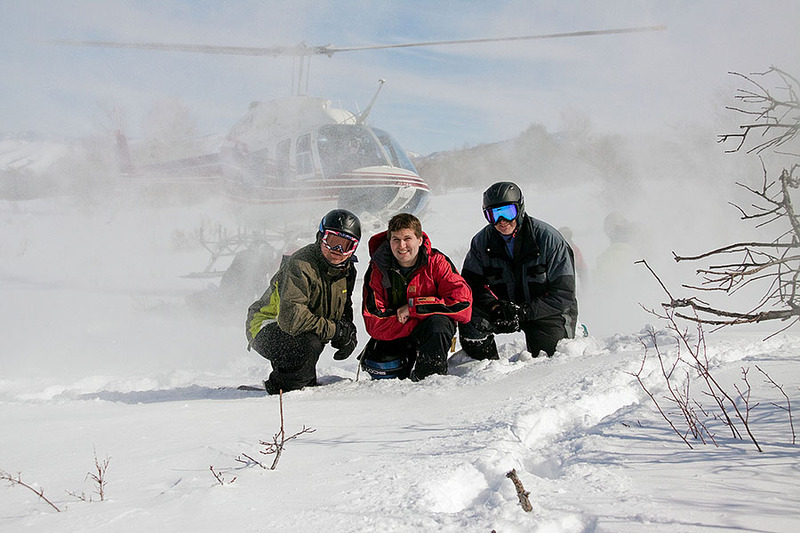 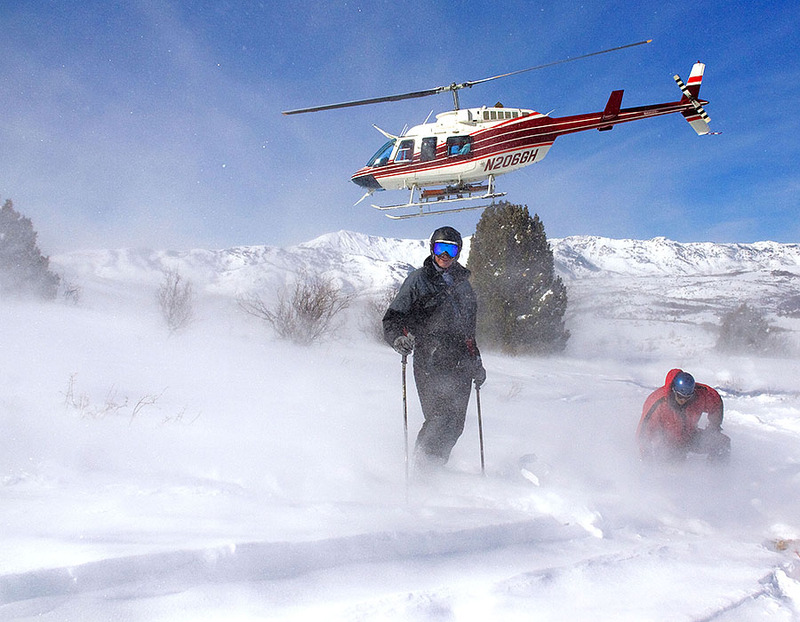 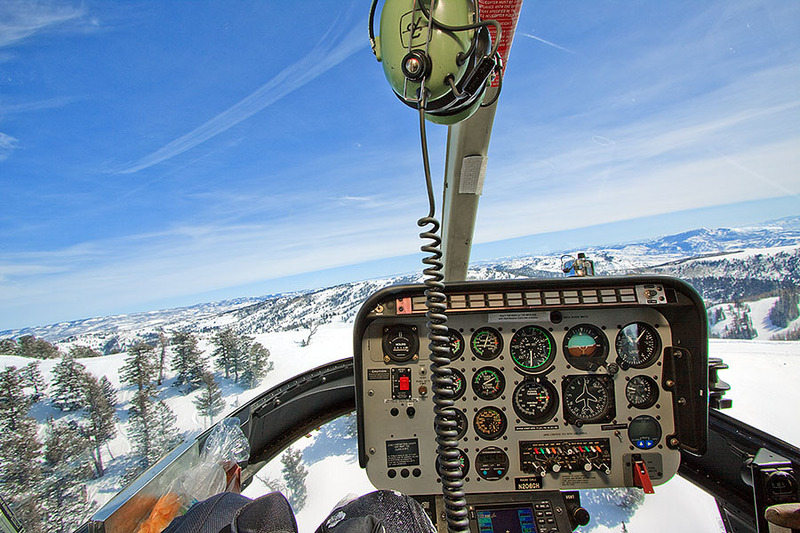 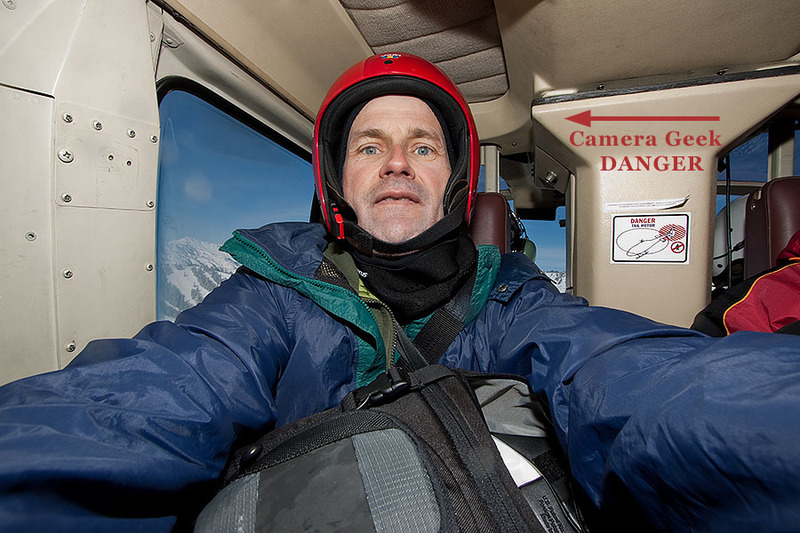 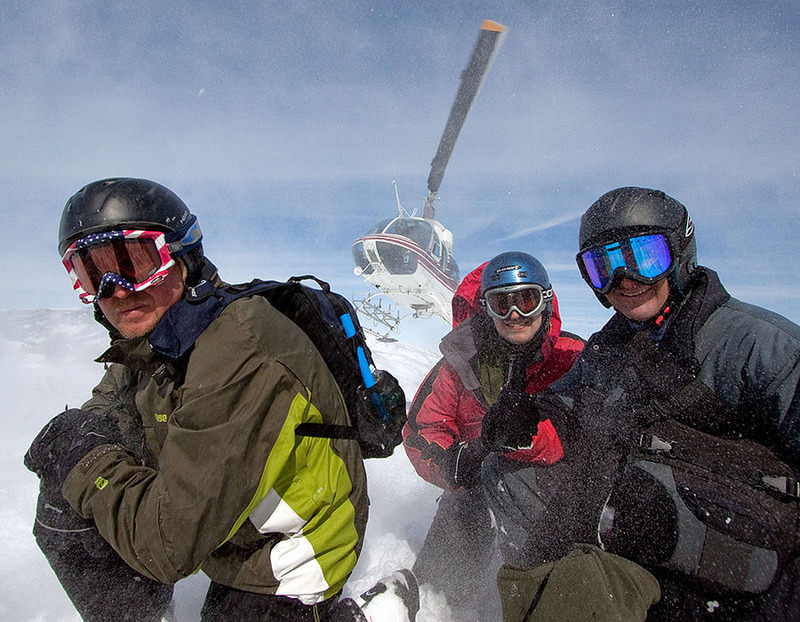 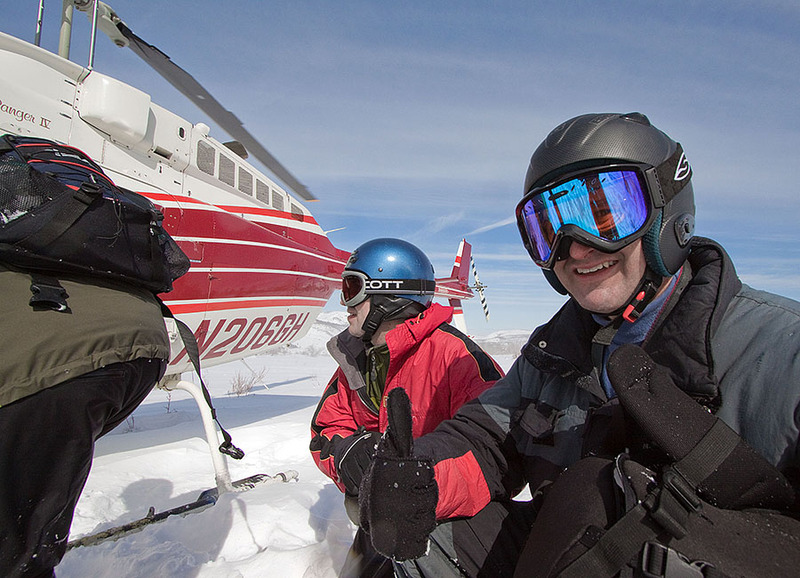 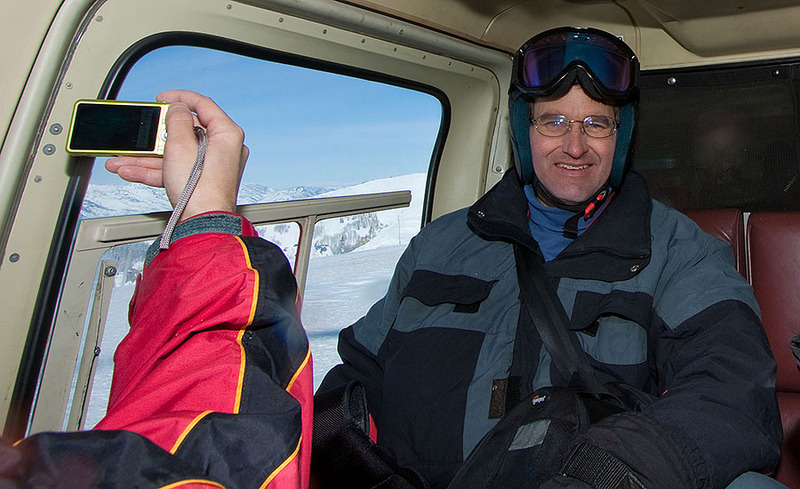 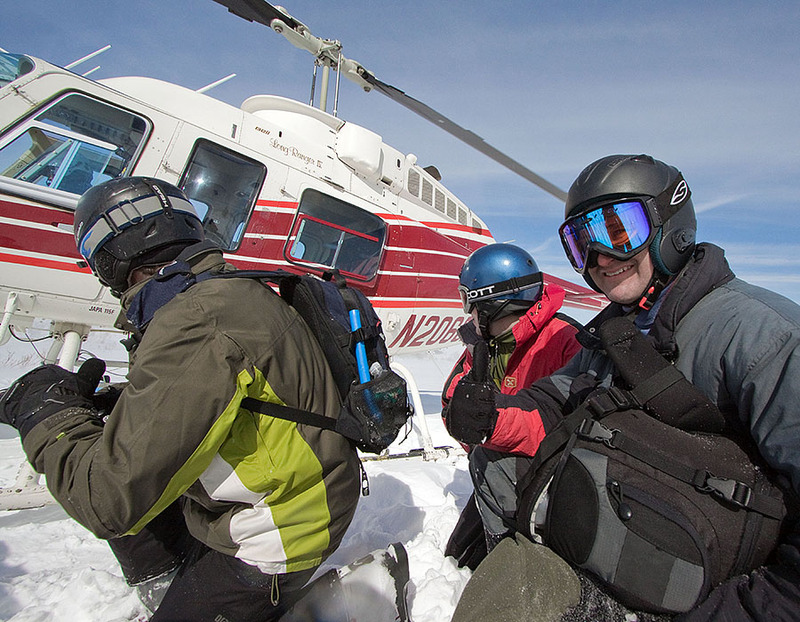 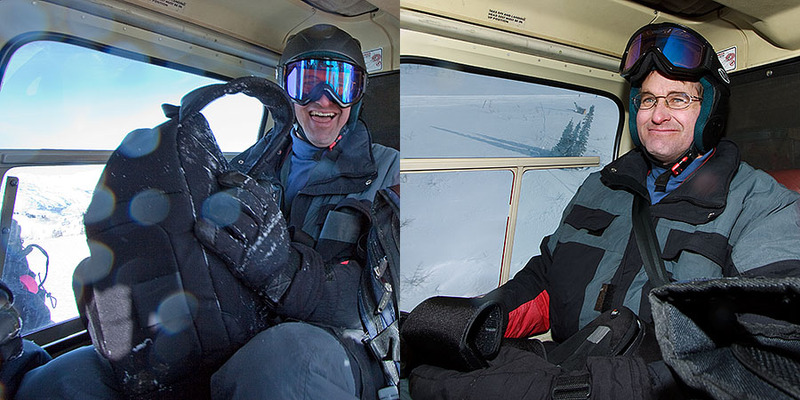 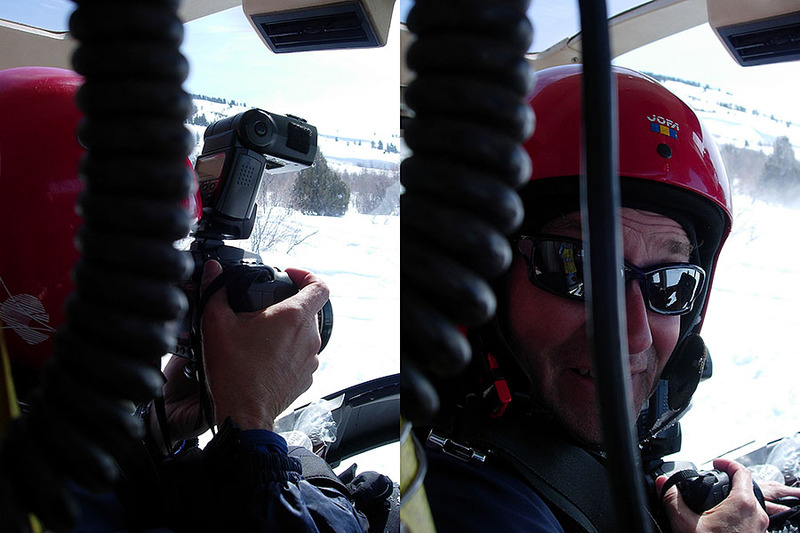 See us in action on the main Helicopter skiing page and below are a bunch of chopper pics. 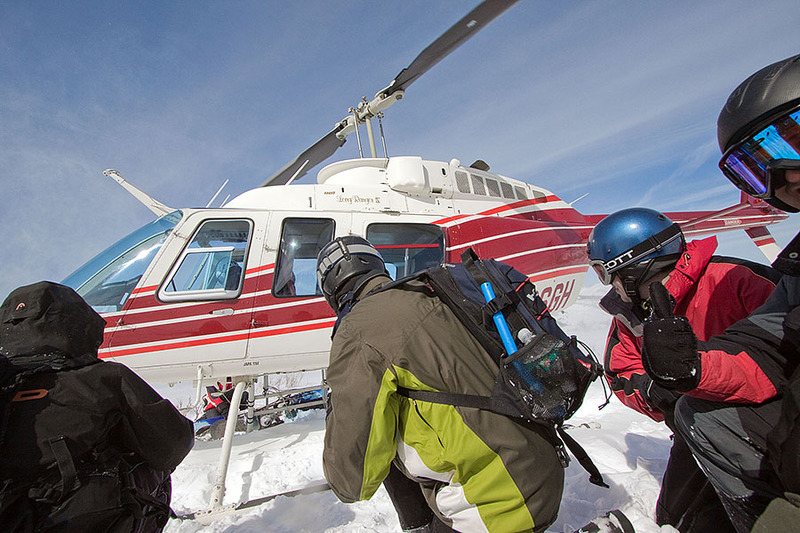 Diamonds Peak Heli landing at the LZ - very wide angle lens - it comes down RIGHT next to us! 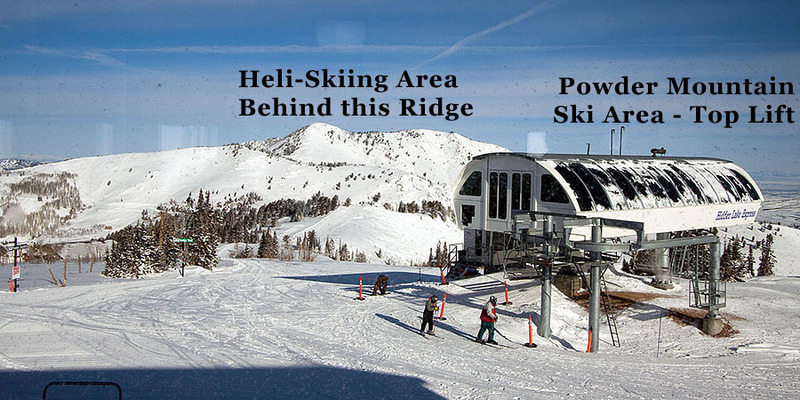 35 seconds (!) 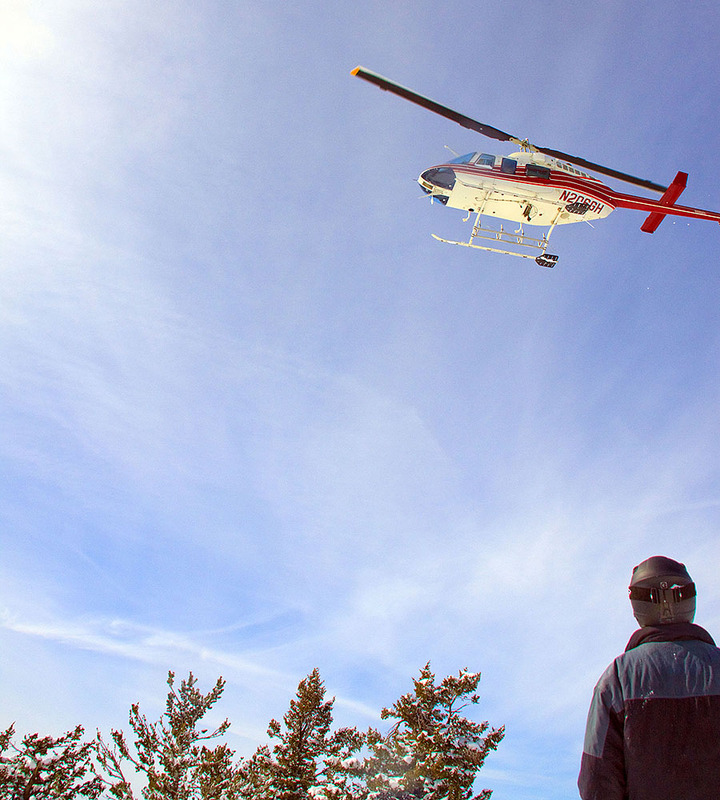 later, the Heli is airborne - talk about quick turns! 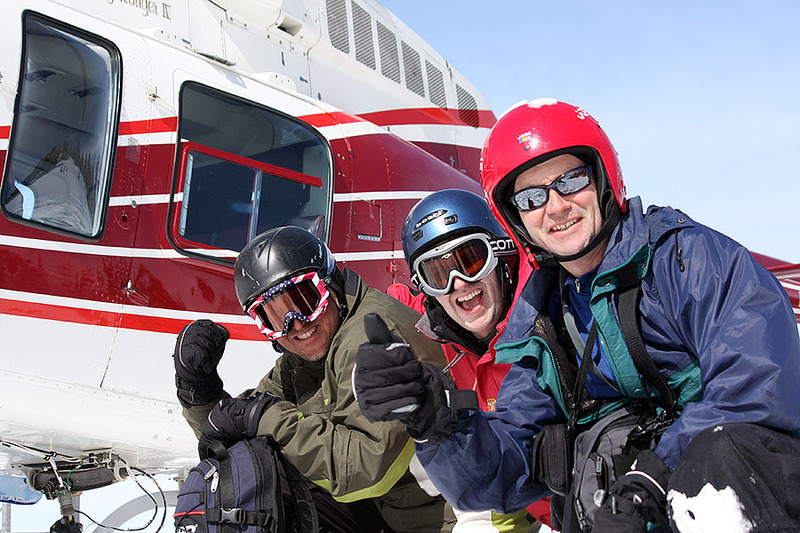 Another takeoff at the Upper LZ gets a Big Thumbs Up! 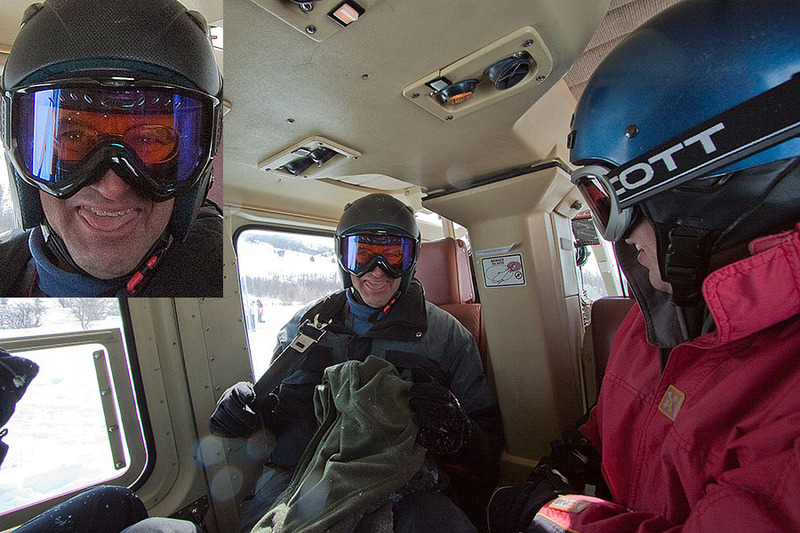 And then it was back in the chopper for another ride up the hill - OH YEAH!!! 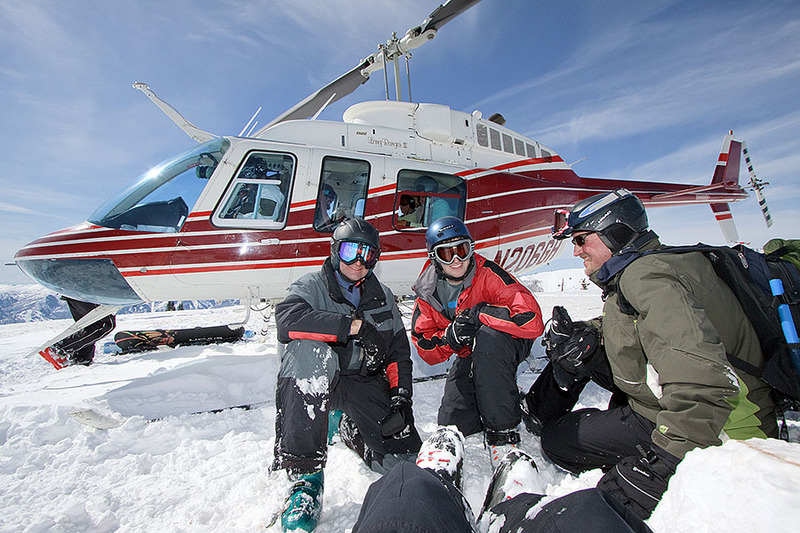 The Heli stuck around for a bit after Heli Skiing - note second Heli! 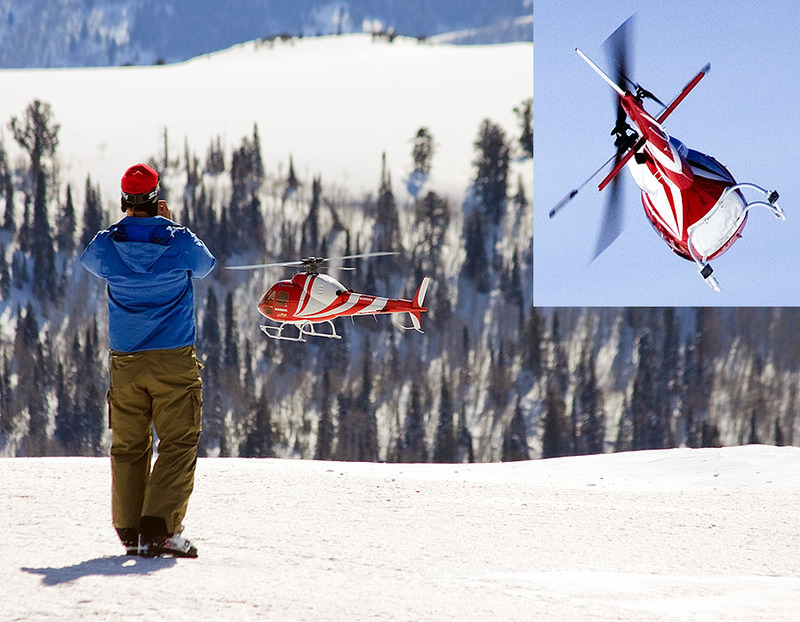 Radio-Controlled Helicopter zipped around pretty good! 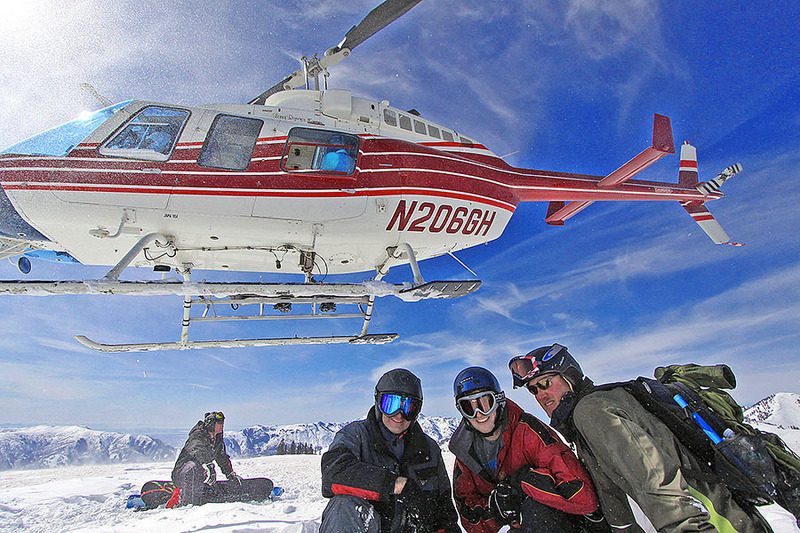 Heli Liftoffs as shot by Alek - Myke - Kurt. 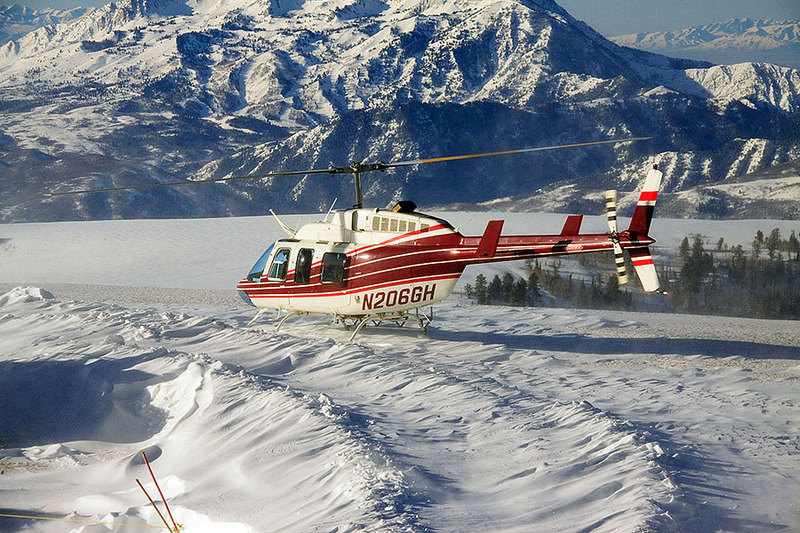 Heli Landings as shot by Alek1 - Alek2 - Myke. 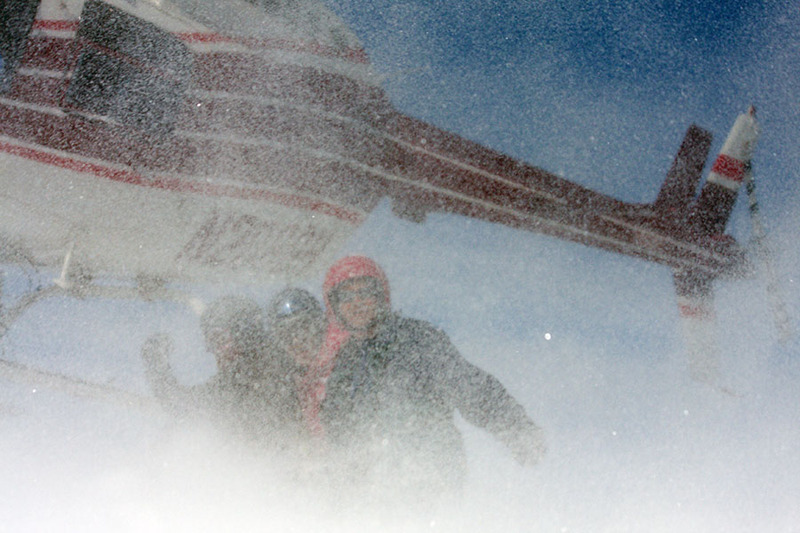 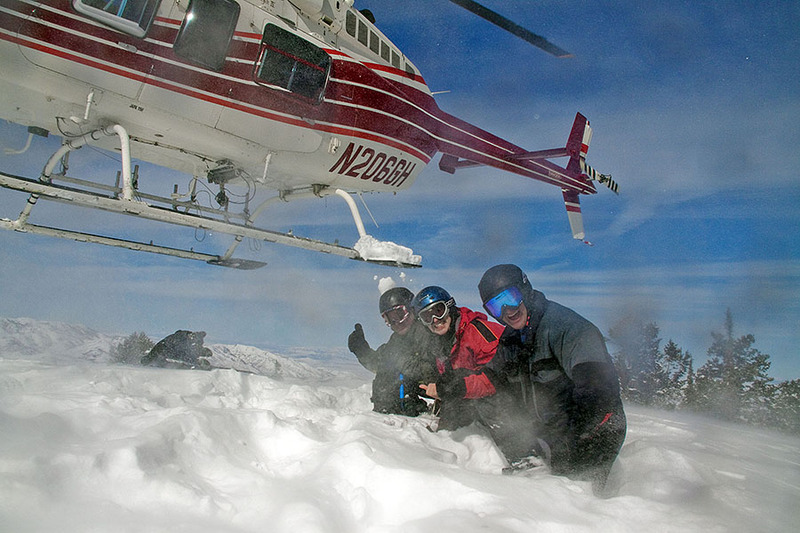 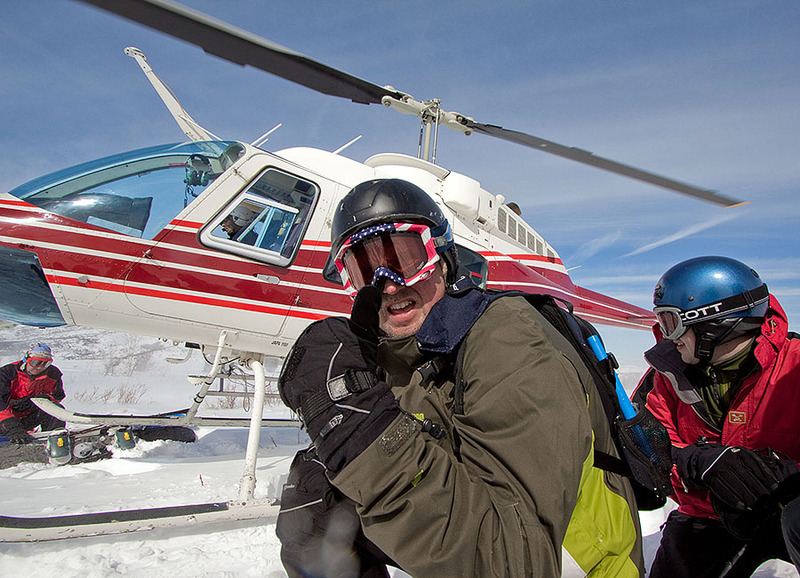 Inside Heli - Evac from Heli - Front Seat - Landing in Parking Lot - Kurt's movie of us skiing. 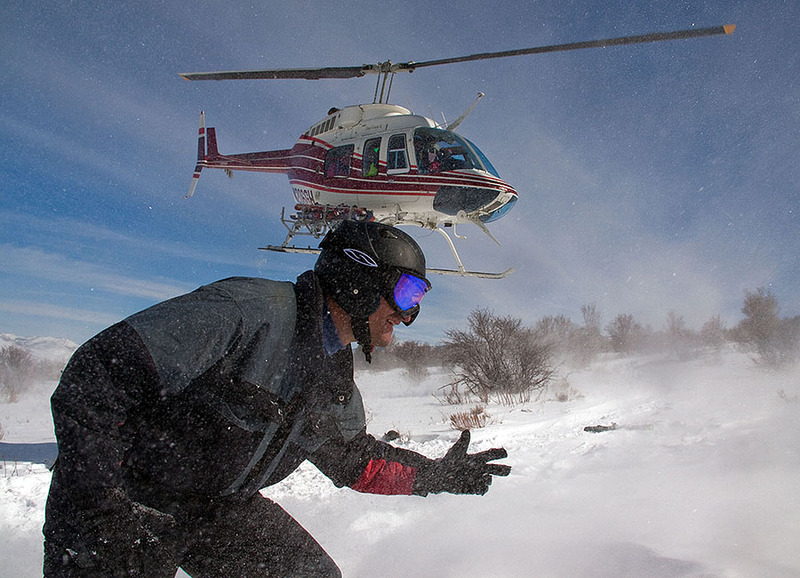 And here is even more Utah Heli Ski Videos using stop-action animation!